This Christmas definitely helped nudge me out of the crafting slump I've been in for, what, a year now? My handmade gifts weren't as varied as previous years and I'm okay with that. Perhaps I'll narrow my focus and start to actually excel in one or two crafts rather than doing a bazillion sub par crafts? Yeah, you're right. Probably not. I started the month by adding to my needle felted ornament collection after I panicked thinking we didn't have enough ornaments for our tree. Update: We had plenty. Anyway, the fox and mushroom are the new guys and only took me an evening. 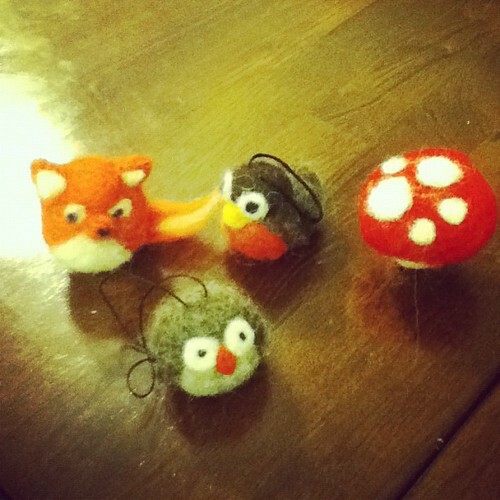 Ah needle felted animals, you would think I would make more of you considering how much I love you. 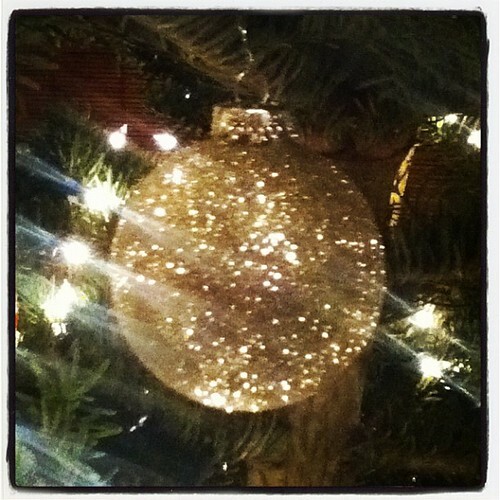 Also for the tree, super duper glittery ornaments. I made these while Nate was not home (nor did I mention to him that they had been made...he found the glitter trail all by himself) and nobody was allowed to touch them. Their sparkliness was totally worth the mess. I decided to make tent for Z-cakes to replace a completely unacceptable pup tent I made for her this summer. I made this decision around the time that a rational person would decide that there wasn't time before Christmas. Pshaw. I used the pattern from Meg's Growing Up Sew Liberated. I made it with the giant roll of canvas that I had tucked away in my basement. What's that? You don't have a giant roll of canvas in your basement? Huh. Weird. 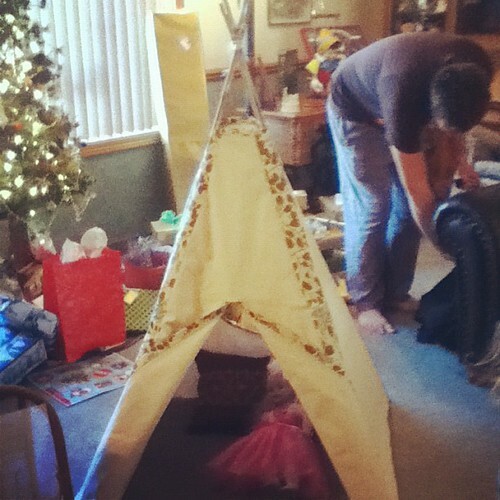 It turns out that tents were a super hip gift this year. Ahem. I mean, I totally knew tents were the raddest so I made one because I'm hip like that. Also, Z-cakes loves it. An adorable hat for my sister-in-law. 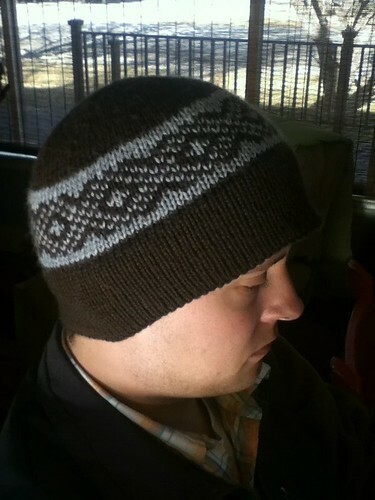 This is the kind of hat that I would only make for a fellow knitter, which she is. 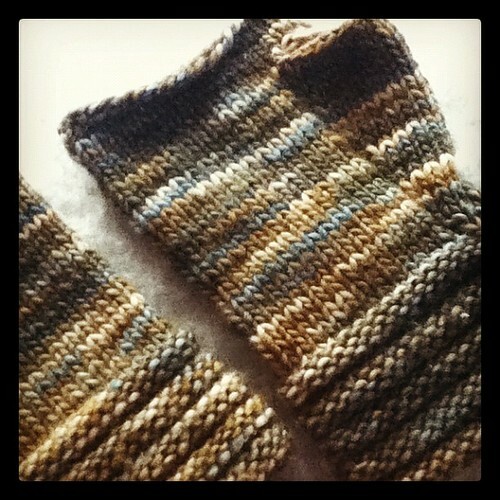 I also made these fingerless gloves for the same sister-in-law, because she lives in Portland and it can get cold there. I made a hat for my Nate. I figured after watching me knit for nearly seven years, he probably deserves something hand knit for himself, right? P.S. 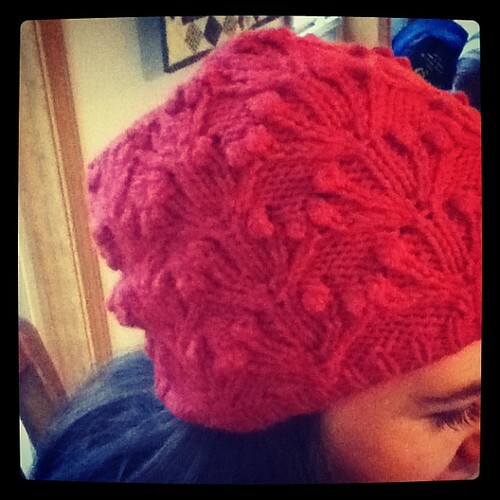 I recently updated my Ravelry project page with photos and words and everything. It took a lot longer than I wanted it to so if you're a Ravelry user you should probably check it out if only to make me feel better. umm okay miss craft queen! that fox is to die for cute. Love your knits! Like, LOVE. 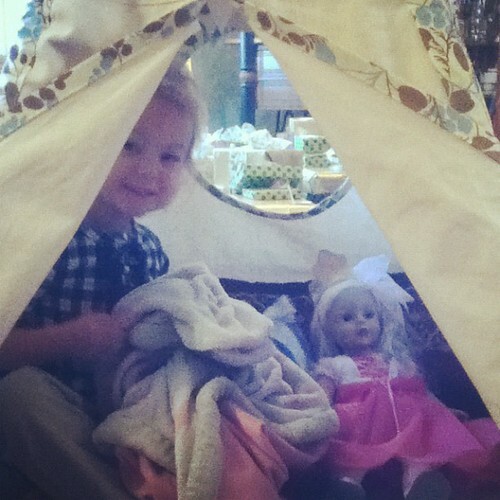 Lucy would definitely call your tent a teepee, then she would dress like an indian warrior princess run around your house like a wild indian and teach Z some seriously awesome fighting/indian dance moves. I love all your crafts you are awesome. I have been building beds for my girls this week, they are swweeeet! I can't wait to show you!!!! Oh. My. Goodness. That tent!! I think I need the pattern. 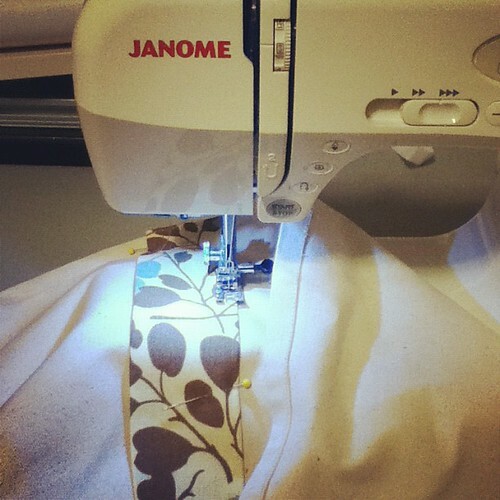 You are such a cute mom and my crafting idol! Love your blog! You are so hilarious... had to guffaw just a tich when i read..."what, you don't have a giant roll of canvas hanging out in your basement? Weird." Right then and there, i thought... you know, we could be sorta tight, like unto a dish, my friend. Cuz i might have similar things just hanging out in my basement.. among other things...with that same thought process running through my head.